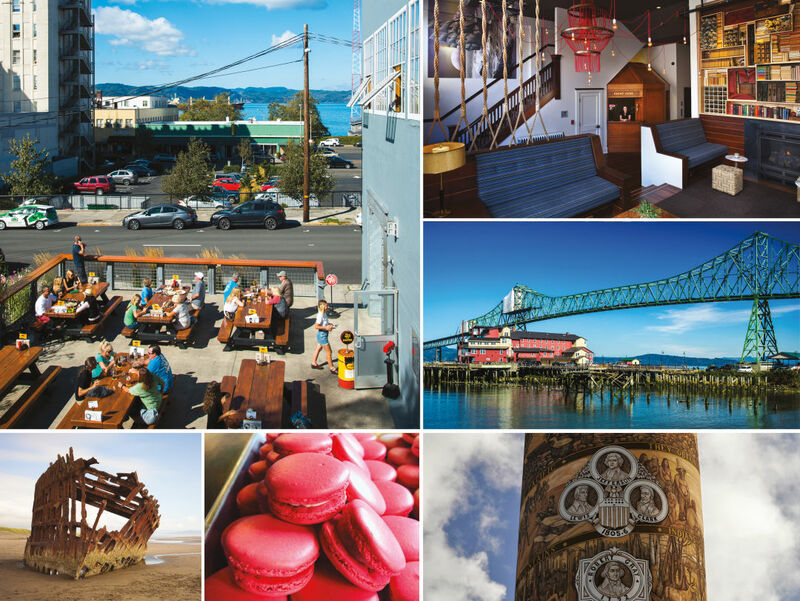 From here, you’re just steps from the serene, pristine Discovery Trail; hike a mile or so north to the Adrift Hotel’s Pickled Fish for Willapa Bay steamer clams and pints of North Jetty ale. Or head south on the trail to Cape Disappointment State Park and crab and pink shrimp at Jessie’s Fish Company on Ilwaco Pier. No need to hike, of course; Highway 103 runs the length of this 99-mile-long spit, up through bucolic Oysterville to Leadbetter Point State Park. 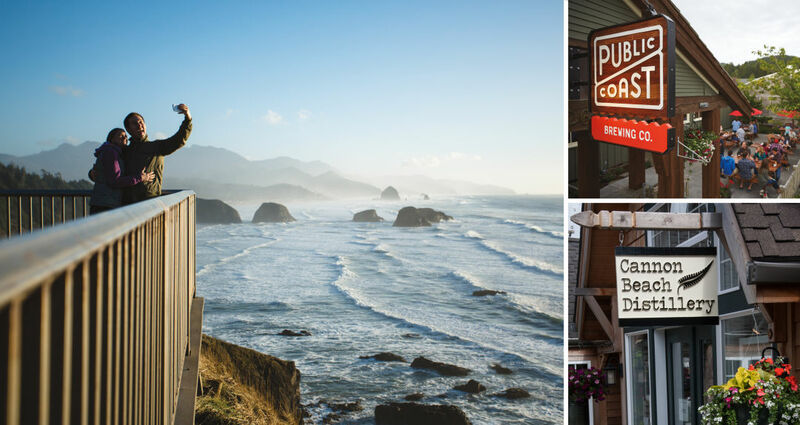 (Stop by Jack’s Country Store in Ocean Park for your Washington State Parks Discover Pass.) Round out the day on the main drag of Long Beach, scarfing strudels and schnittens from Cottage Bakery while touring the mini-putts. As the sun sets over what’s touted as the “world’s longest beach,” toast past largesse at the Victorian Shelburne Hotel; the owners of nearby Adrift recently updated the guest rooms and restored its Victorian tavern and restaurant. Order a cosmo with the house’s own cranberry liqueur—an appropriate sipper to toast the peninsula’s other big crop. (Learn all about #boglife at the Long Beach Cranberry Museum. Pucker up—it’s free! 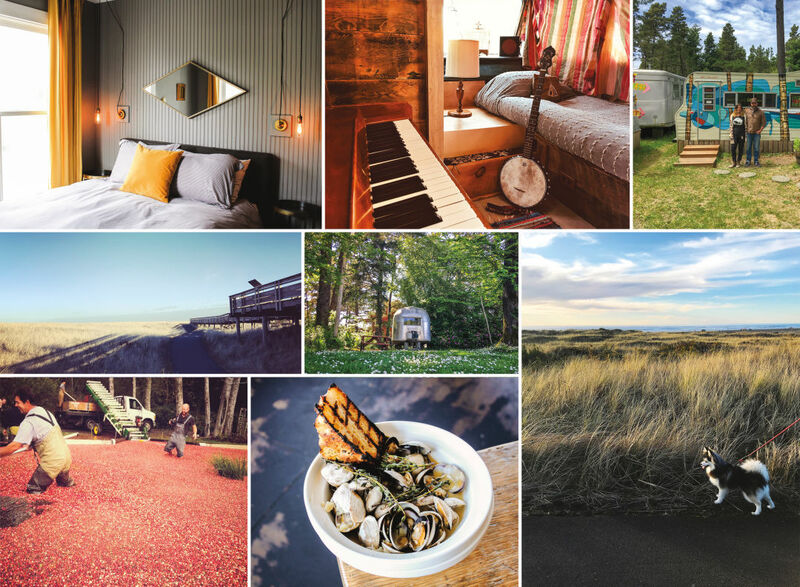 )These days the lodge is more like a quarter-mile from shore (Rosenbaum says Washaway Beach, a bit farther north, is literally down here now) and surrounded by a few dozen vintage trailers (lodge rooms from $73/night, trailers from $193). 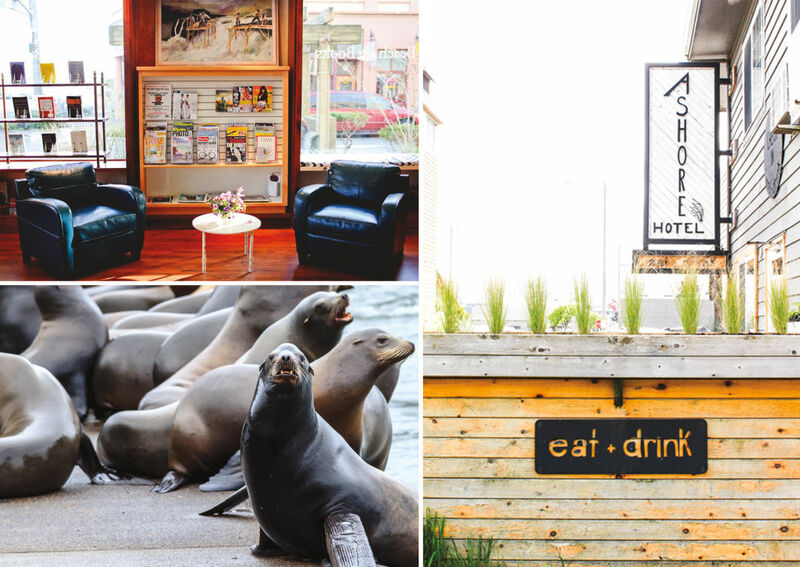 Rent one for the night, and select dinner from the lodge’s funky, friendly honor store: stocked with local beer and wine, a freezer full of protein, and all the salty and sweet snacks fresh sea air inspires.